On a ‘Little Charlies’ pizza, which I would flip over and then proceed to eat only the crusty bottom, leaving a sheet of congealed cheese and “pepperoni” bits on the greasy paper on which it was served. On a deep-fried burrito (Yay Texas! This was a cafeteria staple). 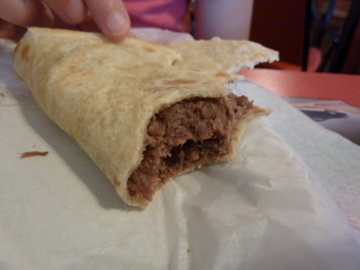 Much like the pizza, I would eat only the deep-fried tortilla casing, and leave behind a mound of greasy beef filling. On one large buttery roll and a big chocolate chip cookie from the snack bar. This is my favorite: potato, sauasage, and cheese. The potatoes are perfectly cooked, the sausage is finely textured, and the cheese is straight-up shredded cheddar. The tortilla is really what makes these sing- they’re handmade every morning by Grandma Helen, and they are pitch perfect. Slightly thick and chewy, with the lightest dusting of flour still clinging to the freshly griddled tortilla. The “fattie” is one of the classic tacos at Casa Alde- it’s got potato, bacon, egg, sausage and cheese, and is shown here with avocado too, natch. Tell me what’s not to like about that! 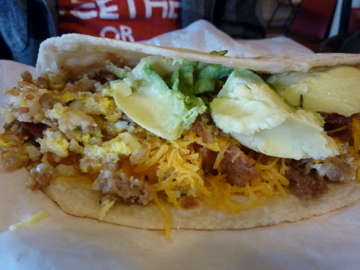 It’s all your favorite breakfast foods in one taco! This is Andy’s partially-eaten barbacoa taco. They make the best barbacoa around, for reals. The meat is intensely flavorful, and the taco leaks clear grease with every bite. That might not sound super-delicious, but it shows how juicy the meat is. Yarm. 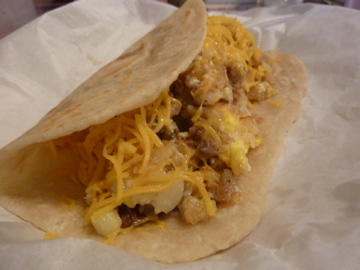 Last but not least, the Migas taco. This is hands down the best migas you’ll find anywhere. Tons of freshly fried corn tortilla squares, cooked quickly with scrambled eggs, and topped with queso(!). It’s sheer brilliance. Other taco purveyors take note- if you’re not topping your migas with queso, you absolutely should be- it’s the bee’s knees. They don’t have a website, but all the info you need can be found on their facebook page. Check it out when you’ve got a hankering for a delicious breakfast taco! Austinites: it takes me 15 minutes to get from my house in South Austin to Casa Alde, in Buda, so don’t let the address get you down! Next Article Austin Bakes for Japan & Other Fun Things! We love this place and the Family. My girls love seeing Helen and she always has a hug for us too!!! You must try it!!! Those sound amazing and delicious. Obviously my food tour of Austin isn't done! thanks all! julia- you let me know when you wanna fly down to austin for some tacos! case alde! living in san antonio is like living in breakfast taco heaven- but those casa alde tacos will always have a special place in my heart. I love this place! 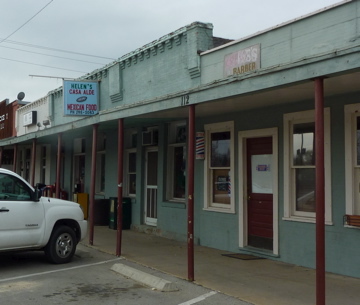 Mary and I are there almost every Saturday. After one of our long bike rides, I tell myself that I'm just restoring my energy, but I know I'm eating more calories than I burned. Oh well, maybe it's more of a reward. 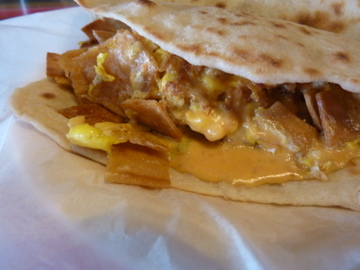 I always get either the migas plate or two breakfast tacos – chorizo and egg, and barbacoa. Mary thinks I'm boring, but that's what I like.